Adam’s sin in the garden of Eden was not simply the eating of forbidden fruit. His sin was extremely wicked and vile. If the single sinful act of eating the fruit was the tree’s trunk, then its many offenses are the limbs of that one tree. Never underestimate or minimize the heinous nature of a single sin. Sin brings death. Though a temporal action, it has eternal consequences. 1st: Adam chose another God when he voluntarily followed Satan. 3rd: Adam took the name of God in vain, when refused to take God at His word. 4th: Adam did not keep the rest or the delightful provision of a perfect and bountiful creation that God placed him in. 5th: Adam dishonored his Heavenly Father. So, it didn’t go well with him & he didn’t live long in the land (Ephesians 6:1-2). 6th: Adam was a self-murderer along with the murderer of all his offspring. 7th: Adam committed spiritual adultery in his heart. He also didn’t show love to Eve in protecting her. 8th: Adam stole what God had set aside as something not to be tasted. 9th: Adam became like the “father of lies” when he failed to defend the truth of God and instead embraced lies about God. 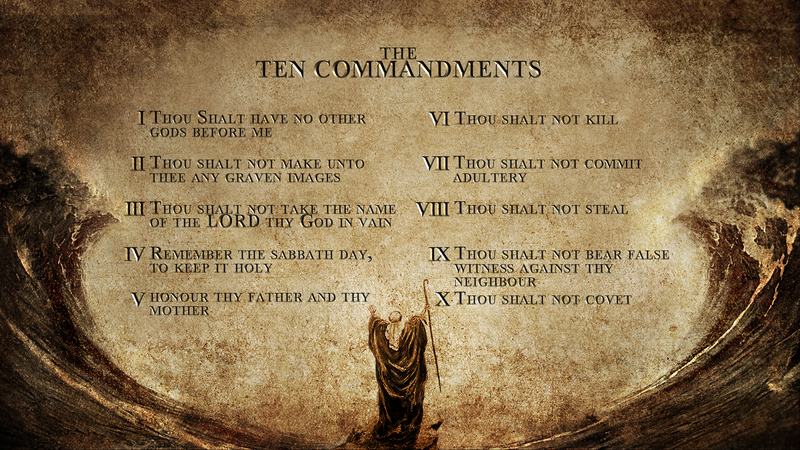 10th: Adam was discontent with all God had provided him and he coveted what God had forbidden.